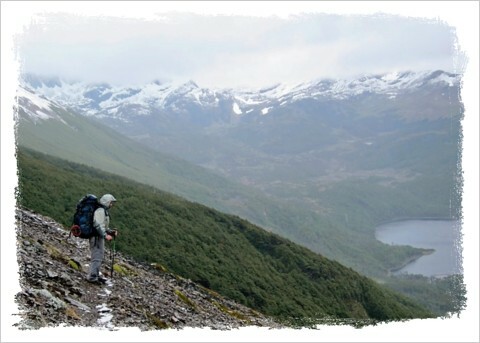 Isla Navarino – Trekking Dientes de Navarino | silence valley patagonia. The Dientes Circuit of Isla Navarino is located in the extreme southern tip of South America, on an island off of Chile located between Isla Grande of Tierra del Fuego and Cape Horn. 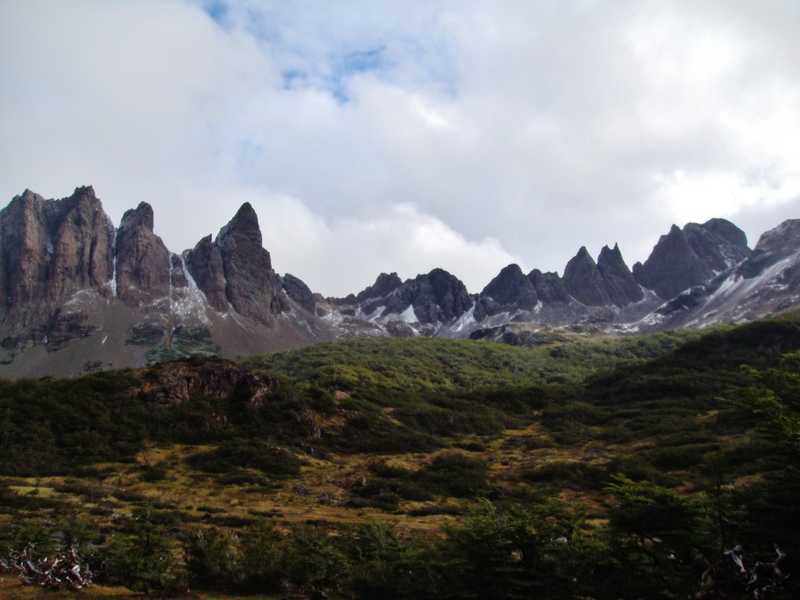 Navarino forms the southernmost commune in Chile and in the entire world and is the closest land mass to Antarctica. The only city anywhere near this remote location is the small village of Puerto Williams, population 2100. 1000 of these inhabitants are members of the Chilean armed forces. The rest are civilians – mainly fishermen and other civilians sent by the government in order to colonize the area, establish the village, and preserve the island as a part of Chile. The Dientes Circuit of Navarino is a 5-day trek, plus a day of rest in the village. 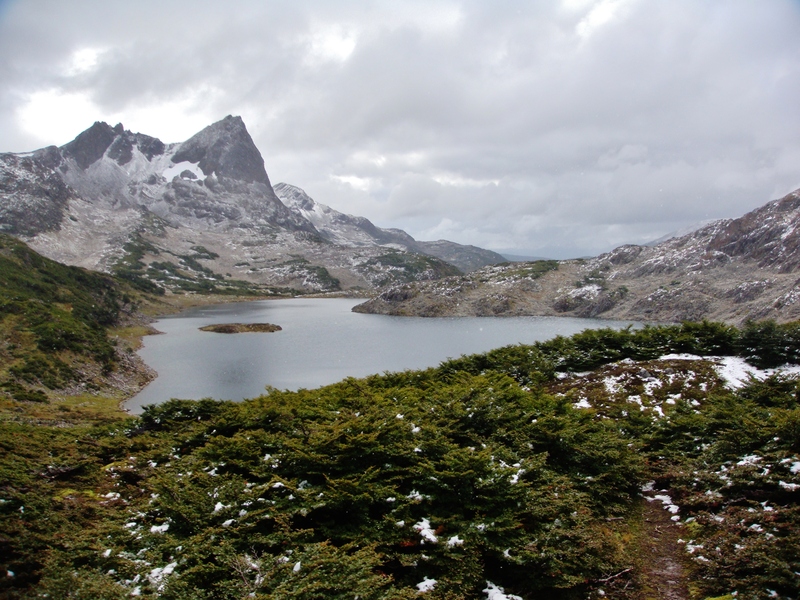 On the Circuit, participants will go through five separate mountain passes around the Dientes, walking through valleys with many forests and beaver-made dams. The views including the Cape Horn straits make this terrain an experience of a lifetime, but one of the best features is that it lacks crowded trails, clearly defined paths and refugios. 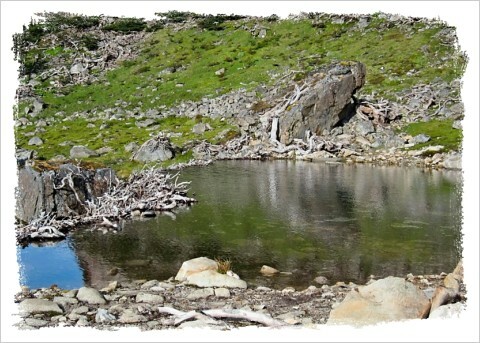 The trail is more than 53 kilometers long and ascends several significant passes. 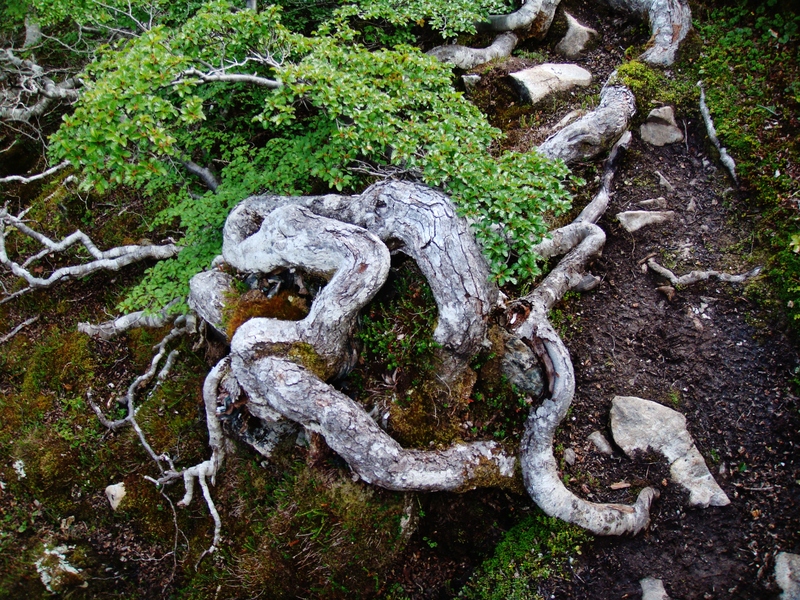 This trek is for the dedicated and extra adventurous and is much harder than the Paine Circuit. This is a self-sufficient trek, so all participants carry their own equipment and part of the food. Porter service is included with this trip, and the porter will help with a portion of the load. To reach the island, one must travel by small plane leaving from the airport of Punta Arenas. While in flight, one can see Tierra del Fuego and the beautiful Cordillera Darwin (Darwin mountain range), with its glaciers that end in the sea. All these places are remote and extreme. Day 1. The first day, after leaving the airport of Punta Arenas and arriving in Puerto Williams, we go to the supermarket for groceries and then register with the local police as trekkers (for safety purposes). Thereafter, we begin our adventure. After four hours of hiking down Cerro Bandera and Valle Robalo, we arrive at Laguna Salto, where we will spend our first night. Day 2. The second day, in the morning we will enjoy breakfast and depart for Laguna Escondida, This will take six hours on foot from the Dientes of Navarino. We will travel though three mountain passes: Paso Primero, Paso Australia and Paso Los Dientes. In Paso Lo Dientes we see the island, Isla Wollaston and Cabo de Hornos, to the south of the world. At arrive at Laguna Escondida and make camp ten minutes more to the south of the laguna in a location that is naturally protected from the forces of the wild Patagonian winds. Day 3. The third day, we walk to Laguna Martillo. It takes six hours walking between Ñirre Forest, beaver dams and bogs. We Will travel trough two mountain pases, Paso Los Ventarron and Paso Guerico. 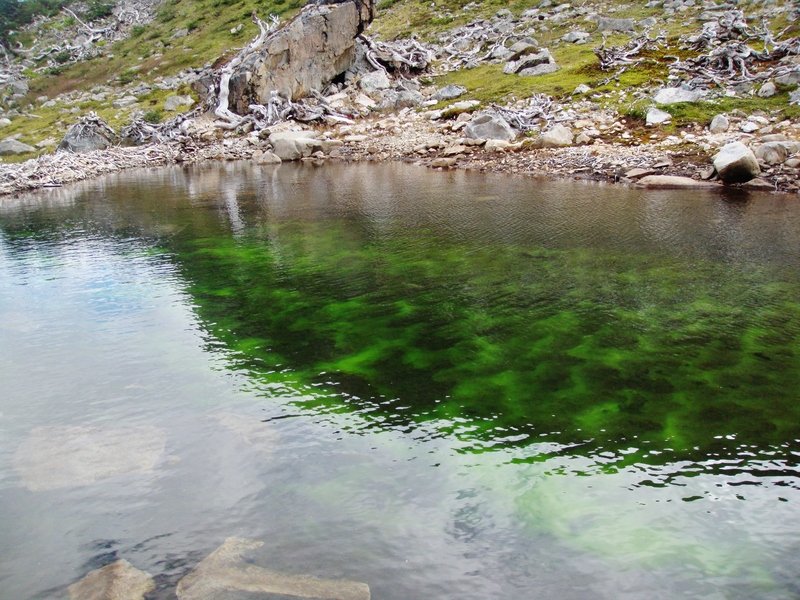 Once we arrive a Laguna Martillo, we walk until the northern end to make our camp for the evening. Day 4. On the fourth day, in the morning is decisive. We have to decide which route to take depending on the conditions. We have to trek through Paso Virginia, which is dangerous where there is snow and fierce winds. If the conditions are favorable for to do Paso Virginia, we will head out and arrive at Laguna Guancos six hours later, where we will camp. If we cannot do Paso Virginia, we have the option to walk to the north of the Valley Guerico until Laguna Salmon for 6 hours (without trail) or keep walking until we meet up with the road (which leads back to Puerto Williams) for 10 hours in total. Day 5. The fifth day, we head out from Laguna Guanacos to the road for 4 hours downhill into the valley though forests and by beaver dams until we reach the road (back to Puerto Williams). Once we reach the road, we will be wait for a transfer back to town and then stay overnight in Port Williams. Day 6. On the sixth day we leave from Puerto Williams by plane back to Punta Arenas. This is the official end of the program. Note – Although the trip typically takes six days, we set aside eight for our clients in case of extreme weather conditions or flight issues which may cause delays of up to one day on each end of the trip. **Contact us for information about group discounts. What is included: Adventures include round trip flight from Punta Arenas to Isla Navarino and back, professional bilingual guide, food, equipment, and two nights in B&B/hosteria. Due to the nature of this adventure, porter service included in the price of this adventure. Only available for groups of 5 or more persons. Contact us for more details.